Paris is a beautiful labyrinth of streets all encircled by a ring road, the Boulevard Peripherique. Inside the circle, Paris is divided into arrondissements, numbered 1 – 20. The numbers start smack dab in the middle with 1e (1st arrondissement) and spiral outward clockwise. Central Paris is in the center of the circle where the top monuments are located (like the Louvre Paris France ) 1-8e and Montmartre in 9e. This is where you’ll spend most of your time when visiting. Notre Dame sits on an island in the middle. The Right Bank(N of the Seine): the business section, most of the monuments of Paris and the fashion industry. Check out this tourist map Paris to see where the monuments of Paris are located. The Left Bank (S of the Seine) : the University, publishing houses, Eiffel Tower and Montparnasse. Famous French artists and writers have lived here and intellectuals. We always stay on this side because it reminds me of my former haunt, Greenwich Village and so I feel at home. Good shopping in Paris is on both the left and right bank. Here is a guide to plan your strategy. Paris Metro maps and Paris metro tickets are available at Paris Metro stations,no more than 10 minutes walk from anywhere in central Paris. Paris boutique hotels offer comfort and ambiance in great locations. On a budget? 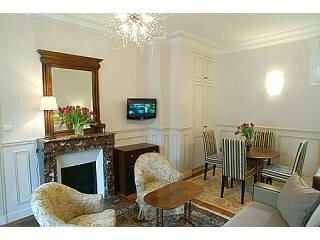 Paris budget hotels offer good value in the center of Paris. Want to rent an apartment in Paris? Here is a self catering France guide to get you started. Best road map France so you find your way with confidence. Flying to France? Airports in France that serve Paris.